MOOCs and higher education: evolution or revolution? FEMS Microbiology Letters publishes concise papers that merit rapid publication by virtue of their originality, general interest, and contribution to new developments in all aspects of microbiology, including virology. Massive Open Online Courses (MOOCs) burst into the public consciousness in 2012 after feverish press reports about elite US universities offering free courses, through the Internet, to hundreds of thousands of people worldwide. A Massachusetts Institute of Technology (MIT) course on Circuits and Electronics that had attracted 155,000 registrations was a typical example. Pundits proclaimed a revolution in higher education and numerous universities, and, fearful of being left behind, joined a rush to offer MOOCs. Specialist organisations such as Coursera and edX provided the information technology (IT) platforms to support MOOCs, because managing electronic communication with hundreds of thousands of learners worldwide was beyond the IT capabilities of all but the largest open universities. Today MOOC platforms are available in countries across the world. The UK’s FutureLearn consortium, for example, has 80 partner universities and institutes, which offer hundreds of MOOCs to over 3 million people. Although I deprecate wild assertions about the revolutionary impact of MOOCs, I am a regular MOOC learner myself, and have just registered for my 13th FutureLearn course. I much enjoy these courses, which are authoritative and well produced. I am also, however, a good illustration of why MOOCs have not sparked a revolution in higher learning. MOOCs are attractive to older people like me, who already have degrees and do not seek further qualifications, but who remain eager to acquire basic knowledge about an eclectic range of new topics. My own MOOCs have included: Writing Fiction, Challenging Wealth and Income Inequality, Childhood in the Digital Age, The Controversies of British Imperialism, Strategies for Successful Ageing, and Mindfulness. The major role of MOOCs seems now to be evolving away from higher education. Instead they are becoming a major tool for development education in countries such as India, which is using MOOCs to improve the skills of millions of agricultural workers, and has created a nationwide assessment system to validate the knowledge that the learners have gained. MOOCs are a significant phenomenon. Over 4,000 MOOCs are available worldwide and register 35 million learners at any given time. So MOOCs themselves are not a revolution in higher education but they are having multiple knock-on effects in the way that it is offered. They have sparked a steady increase in the offering of all types of academic programmes online, stimulated trends towards shorter courses, and an expanded range of credentials. The wider impact of MOOCs on academic programmes and course formats has occurred as institutions try to address the two major weaknesses of MOOCs. The first weakness is that MOOCs do not provide the institutions offering them with a clear business model because they are offered free. The commonest ways of addressing this challenge are to use MOOCs as publicity for other courses that do charge fees and/or to offer certificates of participation. These documents sell surprisingly well despite lacking the credibility of the formal degree or diploma certificates that universities provide for their formal credit courses. That is second weakness of MOOCs. They do not lead to formal credentials, which is why they are unattractive to regular undergraduate students. Early attempts to offer MOOCs to undergraduates in China flopped because the students were looking for marketable qualifications backed by their institutions. The trends towards shorter courses and a greater variety of credentials are not solely due to MOOCs. For example, Open Badges, software that allows any organisation to certify the acquisition of skills and knowledge emerged at the same time as MOOCs. Nevertheless, the experience of offering MOOCs has undoubtedly made university teachers realise the value of shorter courses. Many have changed the way that they teach their regular courses as a result. This has made institutions more amenable to requests from employers for shorter courses related to workplace needs and credentials other than full degrees. Featured image credit: Crowd by James Cridland. CC-BY-2.0 via Flickr. John Daniel's academic career included 17 years as vice-chancellor for Laurentian University, Canada, and in the UK for The Open University. He was appointed Assistant Director-General for Education at UNESCO in 2000 and President of the Commonwealth of Learning in 2004. Knighted for services to higher education in 1994, in 2013 he was appointed Officer of the Order of Canada for 'his advancement of open learning and distance education in Canada and around the world.' He is the author of 'Massive Open Online Courses: what will be their legacy?' 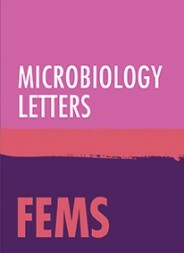 in FEMS Microbiology Letters. MOOCs have made it possible for a large number of students to have an access to courses that they couldn’t afford otherwise. These online courses not only extend a platform to such students but also facilitate diversity because of its worldwide reach. Many of the problems of education come from the pupils awareness of the irrelevance of the teacher. Instead of being the source of knowledge they are redundant when everyone can carry much of the knowledge of the world in ones mobile smart phone. It’s one thing having the knowledge to hand, as if somehow one can simply fill oneself with the knowledge they acquire but it’s quite another to develop real understanding of it. Knowledge needs to be scaffolded in a way that takes account of the current knowledge, skills and abilities of the learner if a deep form of learning is to occur. Put it another way, I wouldn’t want anyone operating on me who knew, from what they found on their iPad, what the human body looked like and the theory about what he or she should be doing but who had not got the qualification to actually say that he or she could successfully put what they learned into practice. This usually only happens through scaffolding learning that builds on basic skills and after becoming an active, learning member of a community of practice with oversight by someone more experienced. Thank you for your article. It is really interesting, I personally use Coursera and Codecadamy for a year now. I really like that I can manage the time of my studies and can have the lesson as many times as I need. I do not see anything wrong with any (the more free) opportunities that can be made and formed. There are many excellent educational projects like TruOwl , which do not interfere study at the university, but only contribute to the development of the student.